Secure the device, secure the communication, and protect the customer. From attacks on ATMs and networks, as well as the tenacious threat of payments fraud, financial institutions, payment processors, and retailers are fighting a constant barrage of attacks that are sure to continue. NCR is there to safeguard your commerce, payment transactions, and your customer’s connected experience by securing the device and communications and protecting your brand, customers, and investments. NCR’s Fraud and Security Solutions helps by assisting with authentication, securing transactions and protecting ATM and POS endpoints. Security challenges, fraud methods, and infiltration are rising as traditional channels go digital and become more interconnected. Layering defenses, including security and fraud prevention are essential for maintaining customer trust and the health and success of your business. Our NCR’s Fraud and Security solutions safeguard your commerce and payment transactions as well as your customer’s connected experience. Consumer trust in their financial institution is only as strong as the security they provide. NCR helps you provide a positive consumer experience by ensuring your brand and reputation are trusted. As customer experiences become more connected, businesses must ensure consumers customers feel confident in the security of their interactions. NCR’s solutions layer defenses to provide a comprehensive layer against security threats in both self, assisted, and digital transactions. Protect your customers at all points of interaction with technology that handles the latest devices, trends, and consumer access preferences. 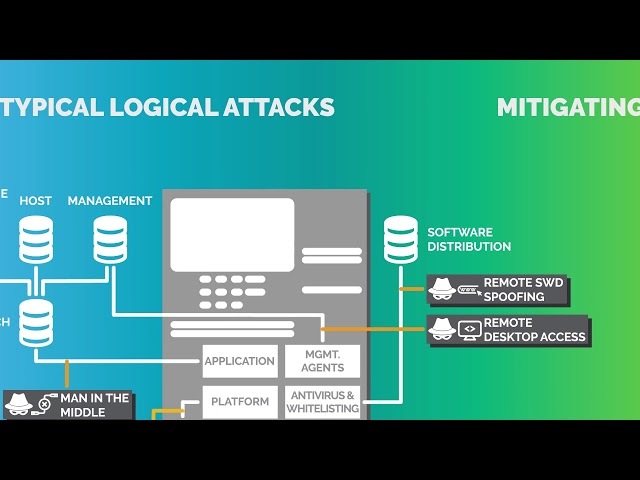 Learn how criminals are attacking ATMs and the recommended ways to mitigate these attacks.